I often play horror games, and while I enjoy them, they tend to leave me feeling tense and in need of something much lighter to take away the stress. After the crazy WTF-filled ride that was Observer, I was itching for something I could just sit with for a while and relax. Luckily, Fugl launched on Steam's Early Access a couple of days ago and it's been just what I need. Relaxation is the entire point of Fugl. 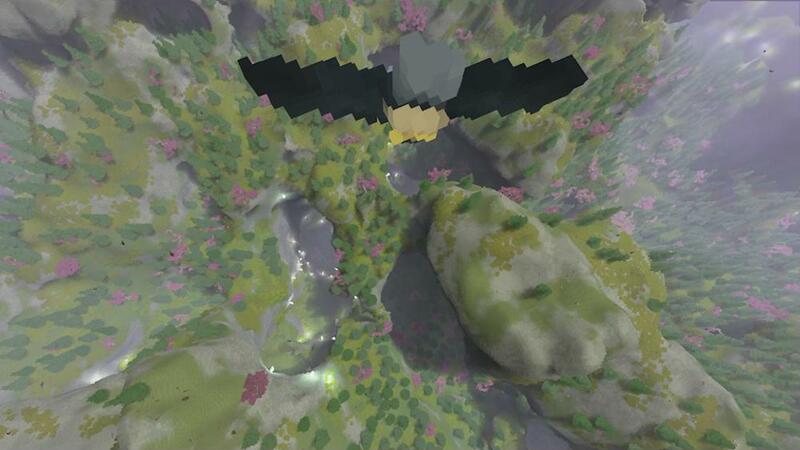 You play as a voxel bird flying throughout the world, discovering new landscapes and creatures as you glide through the air. The most interesting part of Fugl is that you can shapeshift. Flying past another kind of bird will turn you into a duck, flamingo, falcon, owl, etc. while flying close to another non-bird creature will cause you to take on some of its characteristics, turning you into a strange but cute hybrid. If you fly through a group of butterflies, you'll come out of it with beautiful butterfly wings. If you fly over a deer, you'll sprout antler-like appendages from your head. I haven't run into any bigfoots (bigfeet?) yet, but they apparently exist in the game according to its avatar selector. 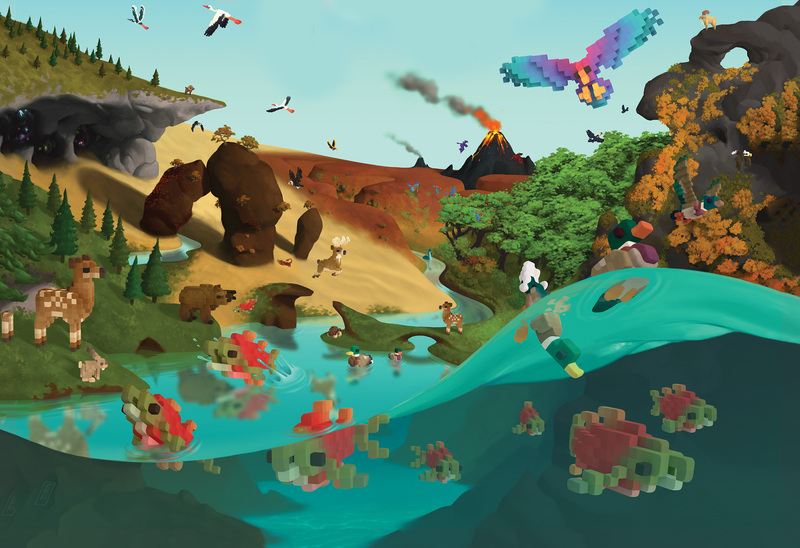 There are multiple biomes to discover, such as a jungle and a mountainous area, each providing their own region-appropriate creatures to morph into. It takes a good amount of flying to get to a new biome, but once you're there, you'll have a slew of new blocky environmental features to drink in. There isn't a whole lot to do yet besides explore and see what you can transform into, but that's interesting enough for me in these early stages. The question is whether that interest will wax or wane as the game develops further. Fugl is in the first days of its Early Access, so if you pick it up, expect to run into some bugs. It has several issues that need ironing out before it becomes as smooth as it's intended to be, but that's expected and the devs will benefit from crash logs and bug reports. Developer Johan Gjestland has said that stability and framerate are their top priorities. He's been receptive to feedback and seems to be working hard to respond to suggestions in the Steam community. One of my biggest hopes for the game is some sort of hunting mechanic that would allow you to dive into the water and catch fish, which Gjestland has said he'd like to work on. Just the fish, though -- I don't want to eat the insects or crabs because they're too adorable, and so is my bird when I fly close to them. The devs have a roadmap on their Steam page of other features they'd like to implement, including weather cycles and different modes of play. 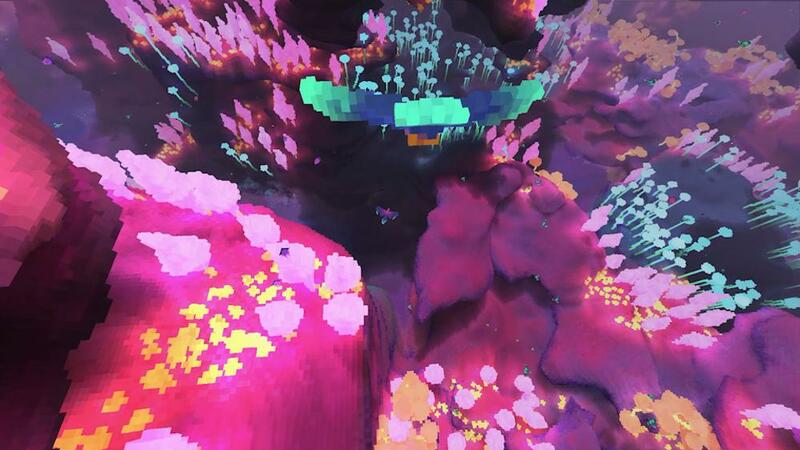 "The voxel works however to enhance the feeling of flight, as you need a good sense of scale to get a good sense of speed, and voxels are a very good scale since they’re all uniform blocks. So as soon as you establish the scale of a voxel, its easy to infer the scale of anything and that works really well for the mind to give you a great sensation of moving through space." Although I would like to see a bit more interaction in the game, the sensation of flying is satisfying, especially when you pick up speed. I still make too many crash landings, and it took me a while to figure out how to take off again and stay in the air. Getting the hang of the controls requires some practice, but when you get comfortable with them, soaring over trees and through caverns is exhilarating. There's a level creator and avatar editor that seem interesting, but I haven't played around with them yet as I've been busy learning the controls and zooming around the world. I was happy to see that Fugl's sound designer, Martin Kvale, worked on Hidden Folks, another game I've relied on to help me unwind. 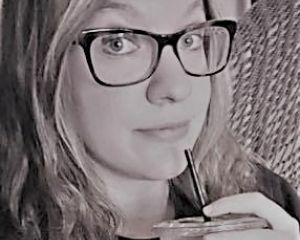 I'll also run through a few dozen levels of The Binding of Isaac: Afterbirth+ to get my mind off things, but that might not be everybody's relaxation cup of tea. What games do you play to relax or relieve stress? Fugl is available in Early Access on Steam for $9.99 at normal price, but you can get it for $1 off until September 21. Future releases are planned for VR, iOS, Android, and possibly more platforms.